Our name comes from the "pallino", a small clay ball used in Bocce. This popular game of skill was brought to America by Italian immigrants who loved to celebrate their good fortune with informal gatherings of friends, family, games, and plenty of lovingly prepared fresh food. 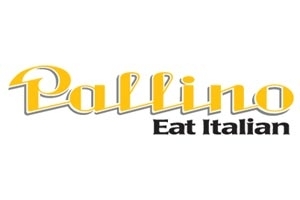 The atmosphere you find at Pallino today is inspired by those family gatherings, but with a modern twist. Our restaurants are inviting, comfortable and clean. The authentic Italian recipes are prepared to order using fresh, natural ingredients, and always ready to enjoy within minutes. Our service is fast, our food is real and our prices are friendly. It's the perfect balance of old and new. Pallino offers quick service for dine-in or take-out because we know that people are often pressed for time in this fast-paced world. But we'd also like to invite you, when you can, to sit down and savor the experience of enjoying real Italian food made with fresh, natural ingredients. It's a tradition that we think has never gone out of style.